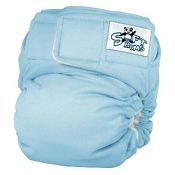 SoftBums Diapers are made with a unique adjustable inner leg gusset that gives a perfect fit every time! 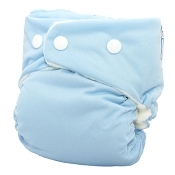 These beautiful diapers are made with high quality materials for better fit, no blowouts, no rashes, and no outfit changes. What do you get instead? 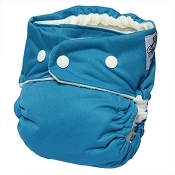 You get cute diapers that give you a custom fit every time. 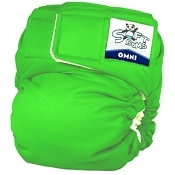 Choose the SoftBums Omni if you'd like a pocket or all-in-two option, or the SoftBums Echo if you're all about an all-in-two! 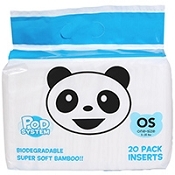 You can also customize your absorbency by choosing a bamboo pod, a stay dry pod, or a SoftBums disposable H-Pods so that your baby has the perfect amount for his needs. 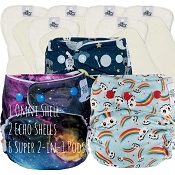 Choose your perfect diaper. Packages available so that you get even more bang for your buck! 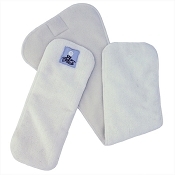 SoftBums are made in the USA.